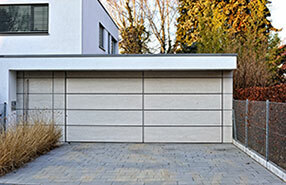 Have you heard of collapsing garage doors? Relax! That does not happen easily unless you neglect completely the needs of the garage system. There'll always be problems with the parts. After all, this is a rather huge and tremendously complex machine and its automatic operation depends entirely on the electric garage door opener and your safety hangs from the sensitivity and excellent condition of the sensors. The question is: what sorts of problems do you face? Big problems underline that garage door maintenance is not your first priority. It should be! Don't you want to merely deal with expected issues? Don't you want your family to be safe? Take a few minutes every month and follow the right steps. Think smart. 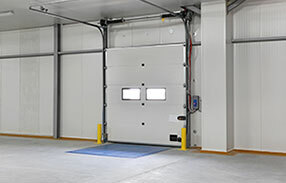 If the overhead door has a problem, you will notice it. If it's noisy, it's definitely a warning of some sort of problems. Does the system behave out of the ordinary? That's also a sign that it must be checked. Lubrication maintenance, for example, and the tightening of hardware should eliminate the noises. When bolts, brackets and hinges are loose, there will be vibration and, therefore, noises. When the parts are not lubricated, steel will rub against steel producing loud noise as well! 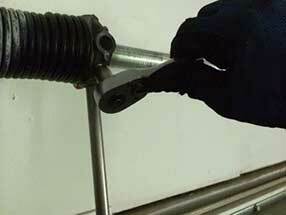 Check all parts and be extra careful with the garage door springs. Unavoidably, you have to come close to check them out but be aware of their hidden energy and the danger that comes with it. For protection, cover your face and keep a safe distance. Also check that the cables go around the pulleys and the drum and balance the door. Remember that it's best to disconnect the opener while you are inspecting the system and it will help you check the balance of the door easier. You just need to see if it remains open or the springs will need adjustment. It's also vital to remember using C-clamps to keep the door open in case you decide to fix or check garage door parts while the electric opener is disconnected. The most important thing is to examine the sensors. Choose a small object and place it under the door. Press the door to close down and make sure it reverses. This should be your number one priority!